Andrea is the typical ‘Third Culture Kid’. Although she has close ties to her Irish and Spanish background, she grew up primarily in Japan before completing her Bachelors degree in Natural Sciences at Durham University. She then went on to complete her PGCE teaching qualification at Cambridge University and taught in the Cambridge area for 4 years. Having experienced the international school circuit as a student, she decided to try teaching abroad and has not looked back. In the last five years, Andrea has taught in Cairo and now in Penang. Outside of school, Andrea loves to play sports, such as basketball, football and squash, but equally enjoys exploring, be it rainforest, desert, underwater environments or cultural heritage. Paul is from the United Kingdom and has a BSc in Psychology and Philosophy from Glamorgan University. He completed his PGCE in 2004 and worked as a primary teacher and senior leader in London for 14 years. Despite his love of London, Paul has always had a passion for travel and it was a long-term ambition to work in an international school. He is really looking forward to the upcoming year and all the challenges ahead. Paul’s other loves include cricket, cycling, learning the piano and exploring new countries and cultures. 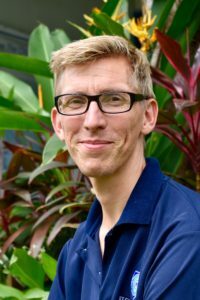 He is looking forward to the adventures that he, his wife Meriel and his young son Barney will have whilst living in Penang. 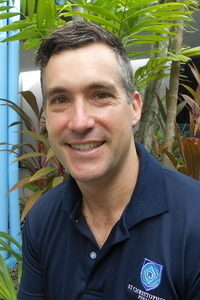 Dean is from New Zealand and has a Bachelor of Teaching and Learning from the University of Canterbury. He has worked at a number of leading primary schools in Christchurch since gaining his teaching degree in 2005. Dean has been a team leader, supervising teacher, tutor teacher and school sport director. Before embarking on his teaching career, Dean worked as a lifeguard and beach education instructor where he taught primary-aged children about surf safety, the ocean and the role of surf lifeguards. This is where he developed a love of teaching. This is Dean’s first international school posting and he is thoroughly enjoying the strong sense of community and camaraderie at SCIPS. Dean has been married to his wife Tamsyn for eight years and has two children, Flynn and Isla Ruby who both attend SCIPS. Dean and Tamsyn have always dreamt about living in South East Asia and are excited about exploring Penang and Malaysia. Tom is from Hastings, a coastal town in the United Kingdom. After completing his degree in Primary Education at Canterbury Christ Church University, specialising in Mathematics and Art, he went on to teach at a school in East Sussex for 3 years. At his previous school, Tom coordinated Design and Technology and was a mentor for newly qualified teachers. Tom was once a tumbler (a form of gymnastics) and competed at a national level as a teenager. He loves all sorts of sports, from swimming to running. Tom thoroughly enjoys the food, jungle and beaches that Penang offers. This is his third year teaching at SCIPS, previously teaching in Year 4. He is the Science coordinator at school; a subject he loves to teach! 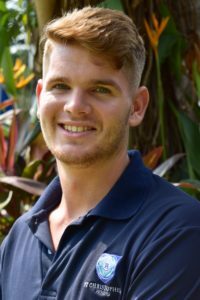 James is from New Zealand and has a Bachelor’s Degree in History and a Graduate Diploma in Education from New Zealand’s oldest university; the University of Otago. After working as an EAL teacher in South Korea and China. This led to him returning to New Zealand to gain a Graduate Diploma in Education. 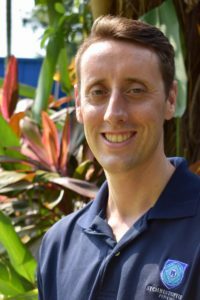 Since then he has worked at Edwinstree Middle School in Hertfordshire, UK and then at St Stephen’s International School in Bangkok, Thailand. He has been a class teacher and Maori language coordinator at St Joseph’s Cathedral School in New Zealand. Professionally he is proud of his wide ranging involvement with many clubs, sports and volunteer work. He is currently the mathematics leader and year 6 teacher. James is accompanied by his wife Georgie and their daughter Nari, who is enjoying her schooling at SCIPS. His hobbies include hiking, running and Jiu Jitsu. 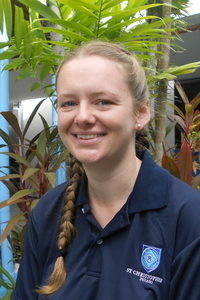 Jen is from the UK and holds a BSc in Zoology and an MSc in Ecotourism. 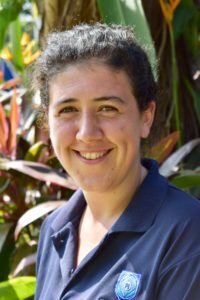 While working in environmental education in Singapore she realised her passion for teaching. Once Jen returned to the UK she completed a PGDE at the University of the Highlands and Islands. When based in Singapore Jen spent a lot of time travelling around Malaysia, exploring the rainforests, snorkelling the coral reefs and trying all the delicious food. That was when she fell in love with Malaysia’s vibrant culture. After teaching in rural Scotland for the past couple of years she is now really looking forward to returning to Malaysia and joining the SCIPS family. In her free time Jen loves being outside in nature and enjoys exploring, water sports and cooking.